Odyssey, an Open Innovation Program by DutchChain which connects innovative ideas with governmental, corporate, and non-profit partners to address complex societal challenges using emerging technologies, has announced the third edition of the world’s biggest blockchain and AI hackathon. “Odyssey will bring together a unique international community of key stakeholders, from startups to big corporates, to creatives, regulators, developers, as well as legal experts, in order to utilize emerging technologies for a new way of organizing our society and facilitating the transformation of the world for the better,” Zuidam continued. 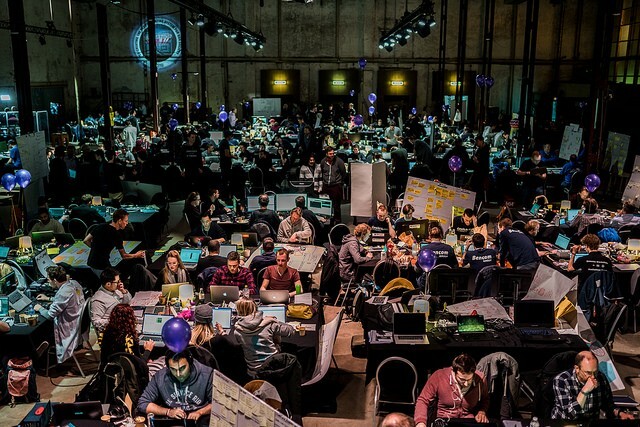 This year’s hackathon will see 100 teams building prototypes to address 20 complex, societal challenges, with 1,500 people expected to attend the hackathon. These challenges cover a multitude of areas, including energy transition, public utility networks, (self-) governance, self-owned digital identity, biometric data communication, financial inclusion and security, cargo insurance, digital nation infrastructure, wildlife and biodiversity restoration, food value chain sustainability, and open crisis and disaster management. Previous hackathon winners include an open protocol for hivemind swarm robotics who have recently written a paper with the MIT Media Lab at the Massachusetts Institute of Technology, which is set to be published next month (GREX by Kryha), a medical supply chain tracking system preventing the US$30.5 billion fraud concerning the distribution of substandard and falsified medical products (by Unchain.io), a solution enabling healthcare professionals from different organisations to share patient data and collaborate on treatments (by Lemon), as well as a way to crowdfund innovative infrastructures of the future (by Nestegg.eu). Open Innovation Program & global ecosystem enabling everyone to co-create solutions to complex 21st-century challenges.